Saw Titicut Folllies in Chris C's class. I didn't much care for it, it was awful. We also saw Noam Toran's Desire Management, which was pretty good as a provocative piece on how products can be presented in movies. We also saw Object for Lonely Men, that he made while at the RCA. I think I saw it when I was visiting Ian... The best part is the creativity of the piece. I also remember his Accessories for Lonely Menk on remembering a significant other through the traces of their presence. It was definitely a terrific bunch of product designs. 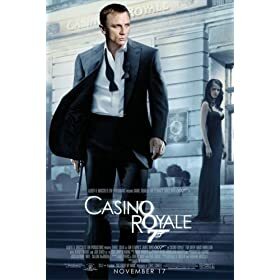 We saw the new James bond movie, Casino Royale. It was totally awesome. Bond (played by Daniel Craig) was such a brash but charming character, his acting was very enjoyable. The new intro used mathematical functions (sine waves and fractals-I'm such a nerd), reminds me of Ian Gouldstone's Corollary animation. Jim really liked Night Watch, but I didn't go. Maybe I'll have to watch it soon, although it sounds scary. Clerks II at LSC, was gross but fun. Some unbelievable scenes. I want the hours of my life back from watching Beerfest. 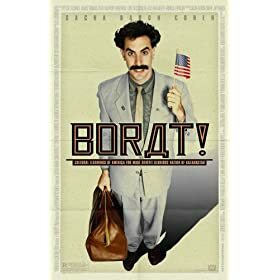 Ofcourse, we also did see Borat, which was fun, but less mindless. It was educational, NOT! 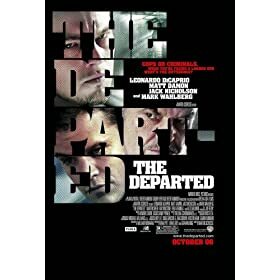 Recently saw The Departed with V. It was very good, and the acting was superb. I really thought Marky Mark was a great character, full of fun and hijinx. Nicholson was a superb bad guy, as always. Matt Damon was great at playing the double cross, and so was Leonardo. Great timing and screenplay, I was riveted. The film was set in Boston, so there were many backdrops I could relate to. Boston is beautiful! highly recommended.